Maybe you were referred to us and have questions, concerns, even some fears. We want to provide a clear picture of chiropractic care as well as the kind of holistic care you’ll receive from Dr. Wagner so that you can make a very informed healthcare decision. With today’s information explosion, comes a multitude of resources for information. But it can also lead to fake news, false statistics, and misinformation. It can be hard to tell the difference. There are a lot of misconceptions about chiropractic care. Believing in myths or misinformation can actually be a deterrent to what might otherwise be one of the most rewarding experiences of your life. If you were referred to Wagner Chiropractic by someone you know, there’s a very good reason. We hope you asked your friend or loved one why he or she feels Wagner Chiropractic is right for you. Chances are their experiences at our center are very similar to the ones shared by our patients which for many are virtual miracle stories. You can read them here to get an idea of what’s possible for you at Wagner Chiropractic. But if you’re still not sure, even after perusing our website, we urge you to schedule a free consultation with Dr. Wagner and receive as a bonus gift to you, a complimentary half hour massage in-house with one of the finest massage therapists we have worked with. Let’s address any possible fears or concerns you may have so you can discover if chiropractic is right for you. Chances are, you have questions before you make an appointment and that’s perfectly understandable. We want to make certain you have a clear understanding of the risks of chiropractic care vs. any other course of treatment. Click here for more information. We have an excellent collection of objective third party resources and information on our site so you can make an informed choice. Click here for more information of the Effectiveness of Chiropractic Care. Take the quick quiz at our Facts and Myths page to see if chiropractic can benefit you. Maybe You've Heard You Are Going To Get Addicted? Most people know how important proper dental hygiene is. From a young age, we have been taught to brush our teeth twice a day, floss, and visit the dentist twice a year. This ensures that we have bright white smiles, that we prevent cavities, and tooth decay. We know that in order to keep our smile perfect, it requires maintenance. Do we give our spine the same attention that we do teeth? Most individuals have never thought about what it means to take care of your spine or how it can affect your body. However, if we can understand how important our spine is, we will understand EVERYONE should be under regular chiropractic care throughout his/her life. Your spine is incredibly important because it houses the nervous system which controls virtually every aspect of your body’s ability to function. In the same way that you get your oil changed, or your teeth cleaned, your spine requires the same maintenance with chiropractic adjustments. 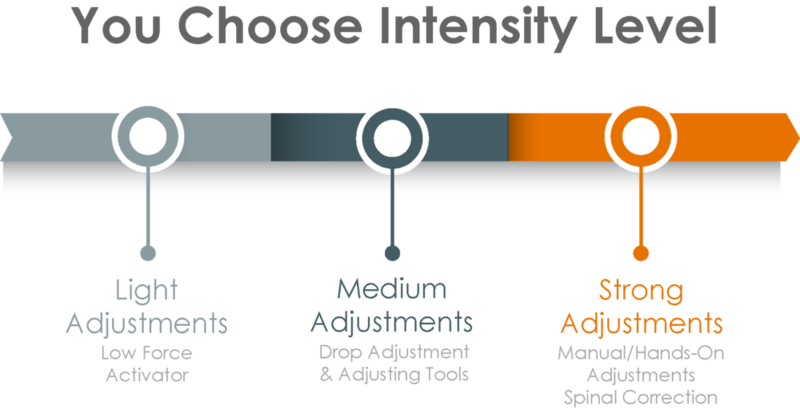 While you don’t need to be adjusted twice a day, you should be adjusted routinely to keep your spine in the proper alignment so that your body can function optimally! Did You Know Most Arthritis Can Be Slowed or Stopped by Chiropractic Care and Restore Your Mobility? When you experience painful or limited mobility, you want to know why and how to fix it. Chiropractic care can help restore range of motion. The best way to get things started, of course, is by first telling your chiropractor the reason for your appointment. Patients want to reduce pain and increase their strength and flexibility. Chiropractic care works to promote this aim. For instance, if you have neck pain or immobility, then your chiropractor will probably begin by performing tests. For example, you may need to touch your chin to your chest or tilt your head backward. If limited mobility is present, Dr. Wagner will most likely begin to form a strategy for releasing any areas of disruption, alleviating pain and working to restore full mobility. Depending on what the primary cause of the problem is, she may not only perform chiropractic adjustments, but also prescribe certain stretches, exercises and other methods of care. For example, there are certain common issues or conditions that often are found to be the culprit when it comes to limited cervical spine. These include obesity, improper posture and whiplash from a car accident. Another reason for tightness or pain may be a medical condition related to aging, such as osteoarthritis or degenerative disc disease. Fortunately, the range of motion testing can help to pinpoint what might be causing limited mobility. Appropriate chiropractic techniques, either applied alone or in conjunction with other forms of medical care, may be the means for restoring full range of motion.